Townsend Leather prides itself on its depth of leather knowledge and is always excited to share that knowledge with visitors and customers. With a variety of training opportunities, Townsend can enhance the leather experience of even the most weathered veteran. Townsend Leather is always excited to host guided tours to give first-hand experience and understanding of our many processes. You can come to see everything from the sorting and selection of the starting raw material all the way to our measuring machine which rolls each hide individually in preparation for shipment out the door to our customers. Our in-house Design Center is the space we use to work on specific product creation, to make presentations on Townsend, the leather-making process and our capabilities, and to just spend more time getting to know you and your specific needs. Depending on your needs and experience with leather, we customize your experience by tailoring each tour and visit to create a meaningful and hands-on learning experience for you. 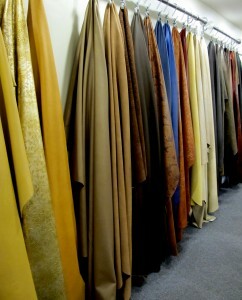 Contact us at info@townsendleather.com to schedule a visit and have a tour personalized just for you. We know time is often of the essence and you just can’t get away between current workload and looming deadlines to visit Townsend Leather in person. That’s why there is always someone traveling for Townsend Leather to meet with customers, at your facility and at your convenience. Townsend offers custom-made trainings that fit the need of any group. From our basic Leather 101 presentation to more in-depth product-specific pocket trainings, we are always happy to come see you and provide any support we can to make your experience with leather more seamless. We are also happy to come see you with our latest and greatest samples to see if they are a fit for your applications. 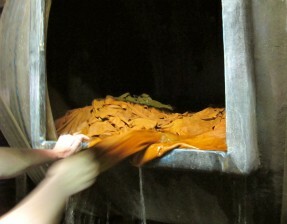 Townsend Leather is passionate about leather and we want to share that passion with everyone we come across. If you are looking for someone to help you or your team get a deeper understanding of leather, please contact us at info@townsendleather.com to schedule a visit from one of our expert staff.